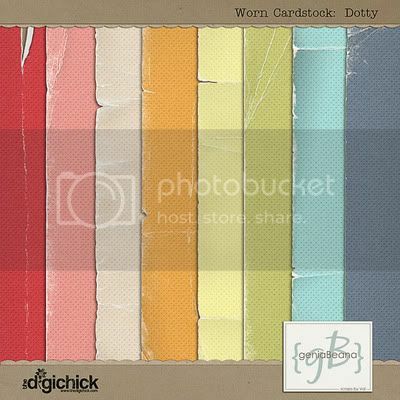 geniaBeana Scraps: I'm hanging out at The Digichick in November! I'm hanging out at The Digichick in November! Hey y'all! I'm so excited to announce that I'm a guest designer at TDC this month! As a guest I'm able to participate in all of the DSD fun that is going on right now. 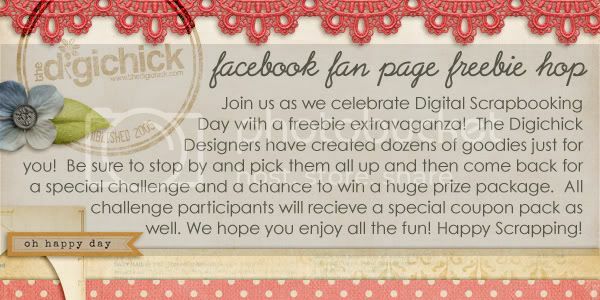 The designers are all having a Facebook Page Hop for coordinating freebies. All you have to do to collect the freebies is follow the links after downloading my Exclusive Fan Freebie from the geniaBeana Facebook Page. For DSD I have 2 NEW Grab Bags in my guest shop at The Digichick. My personal use bag contains 5 BRAND-NEW products. It is an $18 value for only $5. If you don't like the element of surprised it is fully revealed in the shop. I've also got a CU Grab Bag with 5 BRAND-NEW products valued at over $25 for only $5. It is also fully revealed in the shop. I'll be around the forums over the weekend. I hope to see y'all around. I got your grab bag at TDC this weekend and I'm so excited to scrap with it!! :) I'm just seeing this! I'd like to see your layouts w/ it! OMIGOSH!!!!!!!!!!!!!!! I haven't seen or talked to you in A LONG time! Not sure if you'll remember me, but we used to talk aLLLL the time at GDS! GIIIRL, I saw your kit that was released today a TDC (11-16-11) and it rocks! Omigosh, smashingly awesome! Love, love love! I am going to post it out on my facebook and twitter pages, because if I can't get it, someone I know and love SHOULD! LOL! Times are rouge, as I am sure you know....ugh! My scrap shopping is pretty much nil these days! Well, I just "googled" you after I saw you at TDC! I was so proud of you and your designs! Girl, you have come a long way! I loved your designs 2 years ago, and NOW...well, they're even more fabulous than ever! I hope you're making a TON of sales! I know you should be!!! I hope that all is well in your world and I will definitely keep up w/ you more regularly! Fall Frolic! November MAK is here! !